On Monday Britain saw its hottest winter day on record, with the mercury in the Welsh village of Trawsgoed hitting 20.6 Celsius (70 Fahrenheit). It was, according to the Met Office, the first time that temperatures had exceeded 20C on the British mainland in winter. “This is unprecedented… in Wales, 20.6C is like the middle of summer,” said Etienne Kapikian, a forecaster with the Meteo-France weather service. On Tuesday the record was broken for a second time in as many days, with the Met Office reporting 20.8C in Porthmadog, Wales. Several other local February temperature records fell in recent days, including 25C in Ourence, Spain, 21C at Pleyber-Christ, France, and 18.8C in Uccle, Belgium. At the same time, temperatures plunged around the Mediterranean. 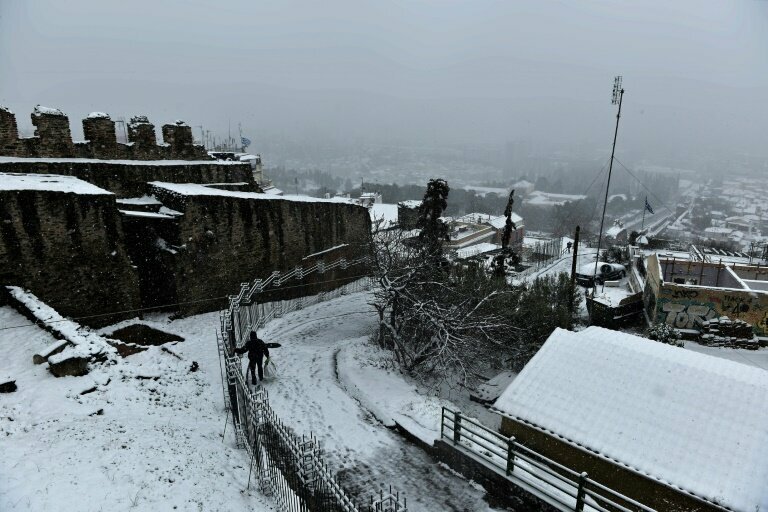 At Thessaloniki in Greece, it hovered at around 3C and has even had snow. Northwest Turkey also saw wintry flurries. The culprits, according to Kapikian, are areas of low pressure over the Atlantic and Eastern Europe, trapping warm air over the northwest of the continent. “This low-pressure/high-pressure/low-pressure pattern is accompanied by north-south air mass exchanges,” said Kapikian. As warmer air from southern Europe is dragged northwards, there is a corresponding flow of cold air pulled down from the Arctic, resulting in unusually low temperatures in the eastern Mediterranean. Kapikian said the near-record warm spell would persist across much of the west of the continent until Wednesday. 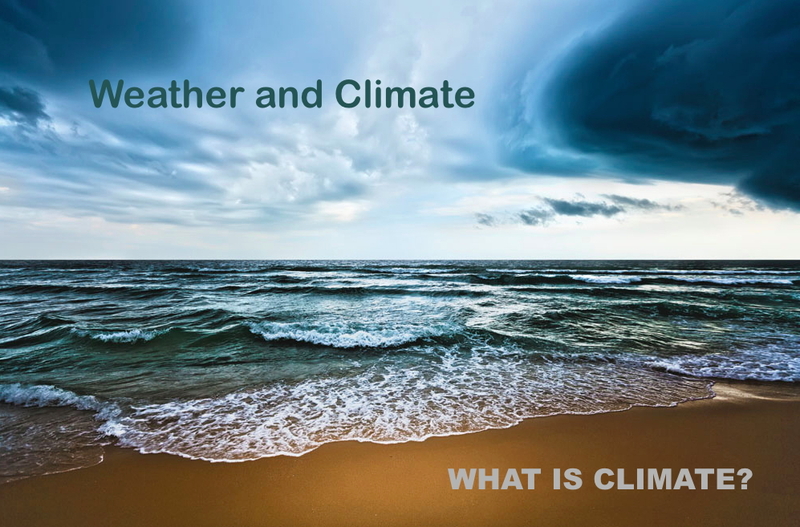 But where does weather end and climate begin? “This low-pressure/high-pressure/low-pressure pattern is accompanied by north-south air mass exchanges”. See the diagram below. It’s called an Omega block as meteorologist Jeff Haby explains here. Quote: The Omega Block resembles the Greek letter Omega. The image below shows an example of this blocking pattern. So basically a warm southerly wind blew in from somewhere like Morocco. Out walking today, it felt just like summer. Probably 24-25C in the sun. Absolutely remarkable. 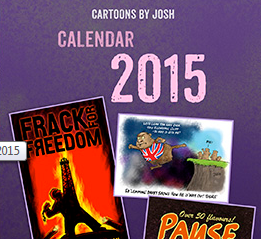 Don’t be surprised if this mini-heatwave in Feb is officially attributed to ‘climate change’ though. The temptation is too great. They just need to explain how ‘climate change’ fitted into that inverted U (i.e. “Ω” = omega) on the graphic, while surrounding areas had snow and cooling. “We had a unusually very late summer last year, and now Spring has started very early,” said Dim Coumou, from the Potsdam Institute for Climate Impact Research. Been to Greece or Turkey lately, Mr Dim? Thought not. How’s that early spring going in the US southwest? Jaime – they’re already trying at the BBC. “I am very confident to say that there’s an element of climate change in these warm temperatures,” she said. He said: “Temperatures are twice what they would normally be at this time of year. Does climate change have a role? With new records for temperature being set, and everyone seemingly dazzled by the unexpected heat, the obvious question is whether climate change has a role? 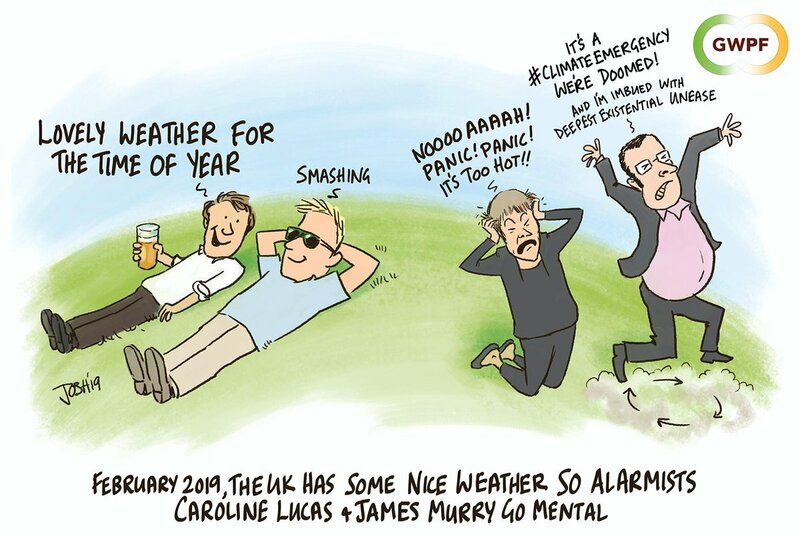 The usual answer is that no single heatwave, storm or flood can be directly connected to global warming, and that’s what the Met Office is saying now. “We’ve had the warmest day of winter on record,” says spokesman Grahame Madge, “and it does fit a pattern of warming. Previous research has shown how the odds of particular weather events – like last summer’s heatwave – have been made more likely because of the increasing levels of carbon dioxide and other greenhouse gases heating up the atmosphere. And the projections for future global warming are clear that the kind of weather that feels strange now will appear normal in the decades ahead, as the underlying global average temperature rises. Met Office analysis of temperatures shows that British winters have become slightly milder over the past half century, a trend that’s set to continue. However, expect an official statistical analysis/study showing that yes it was your naughty SUV in 3, 2…. Another dud. Iceland had its worst first half of summer for 100 years at the same time the UK was in its 2018 sunny spell. Iceland’s greyest, wettest summer since 1914 can be blamed on the UK heat wave, says Icelandic meteorologist Trausti Jonsson. “The people of Reykjavík are paying for the sunshine in England and southern Scandinavia,” said Jonsson, thanks to high pressure over western Europe changing the jet stream and pushing clouds over the north of the continent. Another blocking pattern of course, but alarmists hate to mention that, or are ignorant of it. And there was I wondering where all the gobul warming had got to – we have been having 2 or 3 degrees C at night down her in the south of France. Come to Minnesota. We’ll gladly share some “winter” with you! Good to see you are still around. How’s the house move gone? Richard Coeur de Lion Banned from twitter for accusing a UK MP of backstabbing the british. Hmmm, High perceived ( air / Stevenson screen ) temps, maybe – but the cows are not lying down – the SOIL is too cold – still frosty cold at night / very heavy dews and remains damp all day – condensation. we see it on the open workshop concrete floor. And of last night – climate change caused the Yorkshire Moors fires? !!! Really? What was the temperature recorded there? Moor fires in the winter is nothing new ( Controlled burn) – burnt as vegetation clearance, etc – but no Lightning storm, NO great length of HOT strong sunshine – but a fire started. I’m not going to state the obvious. We have been having frost locally in West central France but the days have been like most Februarys. We nearly always get a very sunny February but some years cold some years warm. However, every spring for the last 7 has been cold and wet. I’m going to by my veg plants this Friday but they won’t be planted out until april. Hi Stephen. Richard too now. They’ll ban us all eventually. I suspect a disgruntled MP was instrumental in getting me banned too. House move was fine by the way, except them wanting to move their stuff in before the funds had cleared and our mortgage had been paid off! Now settling in to temporary accommodation, looking for somewhere permanent. Where does the heat go at night? Ooooh what are the odds it’s not the null hypothesis? Well look at this way – around 17C between New Year and Christmas ( Looking back to the early 80’s) when we experienced that in Scotland, and it takes around 8 weeks o f progression through the Year to gain another 3-5 Celsius degrees of temp. in the day – or Night temps – whats wrong with that? Seems typical of “townee greenies” who have just switched on a wireless thermometer ….. Worst damn winter in 10 years.